Steel-cut oats, a “power” food, are an excellent source of protein, fiber and select vitamins and minerals. Unlike rolled oats which are highly processed, steel-cut oats are dense and chewy as a result of being passed through sharp, steel blades that cut them into thin slices that helps retain more fiber and protein. Enhance with coconut or almond milk flavor and healthful spices like cinnamon and nutmeg. 1 tsp cinnamon, or ½ tsp nutmeg, ½ tsp lemon pepper, or 1 tsp garam masala, etc. Mixed berries, diced mango, sliced banana, dried fruit and nuts, etc. In a medium saucepan, boil the water over a high heat and then stir in the steel-cut oats and salt. Reduce the heat to medium-low and simmer for 20–25 minutes or until thick, stirring occasionally. Add almond butter, coconut milk, or oil and a flavor of choice and remove from heat. For a quicker option, you may soak the steel-cut oats overnight. To do that, bring 4 cups water to boil in a medium saucepan, add 3 ¼ cups oats and ¼ tsp salt. Let them boil for about one minute, stir and remove from the heat. Cover and let them soak overnight. The next morning, heat the oats over a medium heat, stirring occasionally, until heated through. Serve with fruit and nuts of choice. For a Garam Masala substitute, follow the link. Eating healthy is difficult to achieve for many Americans. With the food choices given to us, it’s paramount to stay focused on what’s important – your health! There are seven principles of eating “The Alkaline Way”. Incorporate these principles to create and enjoy a delicious and healthy Alkaline Diet. Your first consideration for eating the Alkaline Way is to eat predominantly whole foods (better even when grown organically or biodynamically). This is the basis of eating the Alkaline Way. Your focus should be on eating plant-based, what we call “life-ly” foods—including fresh vegetables and fruits, lightly toasted nuts and seeds, lightly steamed vegetables, sprouts of grains and beans, fermented foods, freshly squeezed fruit juices, and vegetable juices. These foods retain active enzymes that enhance digestion. For maximum health benefit, eat a wide variety of whole foods. Eating the same foods repeatedly limits digestive and nutritional variety and also increases the likelihood of becoming reactive to those foods if digestion is weak, stressed, or compromised. Diversify your choices for those foods that are easy for you to digest, assimilate, and eliminate. Experiment with new flavors—and often get a health bonus as well. Principle two is to select predominately alkaline foods. If you are already in good health, we recommend eating at least 60% alkaline-forming foods. If your immune system is compromised or reacting to something or your health needs to be restored in any way, we suggest an 80% alkalinizing diet, to help calm your immune system and support digestion. Refer to the Food & Chemical Effects on Acid/Alkaline Body Chemical Balance chart (AACHRT. PERQUE.COM) to learn about acid-forming and alkaline-forming foods. 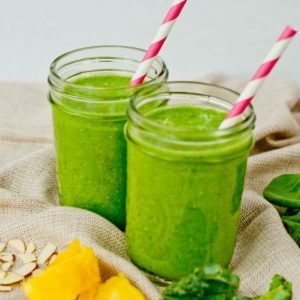 Those foods that are alkalinizing and that you most enjoy will become the cornerstones of your shopping lists—the staples of your personal healthy eating plan. You will refer to this chart frequently when creating shopping lists. The third Alkaline Way principle for healthy eating is to avoid any foods to which your immune system reacts. Use the list of reactive foods from your LRA by ELISA/ACT tests results if you have had testing for delayed allergies; if you have not yet been tested, it is highly recommended. See www.ELISAACT.com. Most overweight people lose weight effortlessly (even if they eat more calories) and enhance metabolism when they substitute nonreactive foods for those that cause them reactions and eat the Alkaline Way. Conversely, many underweight people gain healthy weight, because protein synthesis and repair are enhanced through a health-promoting diet. Our fourth Alkaline Way principle encourages a healthy ratio of complex carbohydrates to proteins to fats. Unless your health care practitioner instructs you differently, your Alkaline Way eating plan should be rich in complex carbohydrates from vegetables, whole grains, and legumes (beans, peas and lentils), as well as seasonings, spices, and herbs. These should comprise about 60-70% of your food intake. Proteins should be approximately 15-20% of your total calorie intake. Approximately 50 to 60 grams of protein per day is a good amount for most people. Sources of protein may include organic eggs and dairy products, whey protein, as well as deep cold-water fish such as mackerel, sardines, tuna, herring, and salmon. Additional protein sources include nuts and seeds, sprouts, nutritional yeast, blue-green algae, miso, and mushrooms. You may also create “complimentary proteins” (by pairing grains with beans, and/or gains with dairy). Protein requirements may be higher if you are pregnant, recovering from chronic illness, exercise intensively, or have other specific needs. Be sure to work with your health care practitioner if you have special circumstances. Fat should be 15-20% of your daily calories. Be sure to focus on healthy omega-3 essential fats, which enhance your body’s energy production, protein production, and tissue repair. Food-based sources of protective omega-3 essential fats are found in fresh nuts and seeds as well as cold-pressed organic oils such as avocados, olive oil, safflower, flaxseed, walnut, sesame, peanut, and pure deep-sea fish oils. Other sources include borage, black currant, grape-seed and evening primrose oils, and Udo’s oil™. Unless you eat line-caught, oily, deep-water fish more than three times per week, omega-3 supplements are recommended. When selecting omega 3 supplements ensure they are obtained from uncontaminated sources and are not contaminated or oxidized during processing. PERQUE EPA/DHA Guard is the recommended Alkaline Way omega-3 supplement. Unlike animal proteins, plant proteins lack some essential amino acids. By pairing foods based on the amino acid supplied, you are able to obtain a complete protein. For example, brown rice and cooked beans each lack an important amino acid and are incomplete proteins when eaten alone; however, when eaten together, they complement each other and provide a source of complete protein. “Trans” fatty acids are handled by the body as if they were natural saturated fats like butter or coconut oil, but these types of fat are more harmful. Trans fats cross the placenta, are stored in fetal tissue, and can cause long- term problems with cell membrane function. Unfortunately, “trans” fats are found everywhere—in fried foods such as French fries, in many processed foods, and in everything from conventional name-brand cooking oils to bakery goods and candy. Use unsaturated, non-hydrogenated “expeller-pressed” and preferably organic or biodynamic oils such as olive, grapeseed, coconut, and peanut, along with exotic oils such as avocado, almond, and mustard seed. Avoid solid cooking fats such as margarine, hydrogenated vegetable oils, lard, and Crisco. You’ll also want to pass up deep-fried fast food. Hydrogenated oils can interfere with liver enzymes and are associated with higher cholesterol levels. These artificial oils can also have a negative effect on immune function and are known to promote certain types of tumors. The fifth principle of The Alkaline Way is to make a habit of consuming a wide range of probiotic (cultured or fermented) foods and drinks. The term probiotic means promoting life. A healthy gastrointestinal tract is home to a plentiful variety of beneficial (probiotic) bacteria responsible for keeping our bodies and immune systems in balance. Poor diet, stress, illness, and antibiotics can deplete these beneficial bacteria, giving pathogens free rein to proliferate. We consume probiotics to colonize the gut with beneficial bacteria. Consuming probiotics in food or drink form is ideal, since this provides the highest levels and variety of probiotics. Additionally, probiotic supplements, such as PERQUE Digesta Guard, are highly beneficial. We recommend 2-4 capsules with each meal. Plentiful water and fiber intake make up the sixth Alkaline Way principle. Americans, as a whole, consume far too little water and food fiber. Traditional cultures that remain free of Western degenerative diseases consume 40-100 grams of dietary fiber daily from whole, lively foods. By contrast, Americans typically consume 10 grams. We recommend a daily fiber intake of at least 40 grams. The beneficial “roughage” from fiber makes the stool bulky and soft and helps to maintain a shorter transit time—the time from food consumption to waste elimination. Adequate fiber encourages wastes to be eliminated easily and comfortably on a regular basis. Keeping your body clean and clear means it is less likely that toxic waste matter will be reabsorbed back into circulation. A healthy transit time ranges from 12–18 hours. This reduces the opportunity for unhealthy bacteria and yeast to dominate in the body. (To learn to measure your transit time, see “Transit Time: From Consumption to Elimination” or visit TTIME.PERQUE.COM). Plentiful water intake is key to health—especially when consuming a high-fiber diet. Waterhelps fiber do its job of efficiently moving wastes through the body, and every system of the body depends on water to function. When following The Alkaline Way program, we recommend consuming at least one 8-ounce glass of purified water 8 times daily. For every 5-8 ounces of caffeinated beverages, add a glass of water. Take a rest from drinking water 20-30 minutes before and after meals to assist the body’s digestive process. If you must drink at these times, make it small amounts of room temperature or hot water (or healthy tea)—cold water can really slow down digestion. Fresh lemon juice, lime juice, and/or ginger act as digestive aids and alkaline enhancers while enhancing the taste of water. Smart food combining is an integral component of the Alkaline Way and is our final principle. The way we combine foods together during mealtime can have a tremendous impact on digestion, and therefore overall health. Just as the typical American diet is unhealthy, the American meal—usually represented as meat (protein) and potatoes (starch)—combines foods in the least effective manner. The art of healthy food combining is an important aspect of balanced nutrition, and lessens wear and tear on the digestive system. Pay extra close attention to food combining if you are prone to any digestive discomforts (acid reflux, bloating, leaky gut, heartburn, irritable bowel, diverticulosis, or other digestive problems). While this guide can’t cover every facet of optimal food combining, we encourage you to read about and research healthy food combining. The main principles of healthy food combining are simplicity and compatibility. There are some diets out there that may be suitable to what you’re wanting to do, such as the Shibboleth Diet and others. However, not all diets are ideal. While other diets like the ABC Diet don’t provide long-lasting, healthy impact, the Alkaline Way gives you what you need to live a healthy life. For more on the Alkalinizing for health, click here.